Do you dread sitting hour after hour socializing with family and friends when there is so much work to be done? I do. 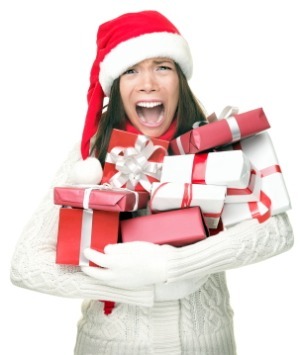 Holiday time is stressful, especially for those of us driven by delivering outcomes daily. In a work culture that can be all encompassing, pushing for more of our time and energy every minute of every day, many of us suffer from a work-life imbalance. The good news is that the holidays are a perfect time to practice taking back control and learning how to relax. I find turning my head off, shutting down before all my work is complete, leaving things on my desk (or in my inbox), delaying project tasks, almost physically painful. And holiday celebrations, many in the middle of the work week, can make me sweat when I think about how I am going to get everything done. Do you feel lost if you are not being productive? You are not alone. Work Addiction is a common problem for those of us in the project management profession. Psychologists have studied this condition and, though it is the most societally acceptable of obsessions, it still needs to be managed. Work Addition is grouped with other addictions, like drugs, and gambling. It’s called Adrenaline Addiction: being addicted to stress, in this case, work stress. Fill in the blank: It is not always easy for me to step away from _______ (WORK, SMARTPHONE, FACEBOOK, etc). First, you have to believe you deserve to be happy outside of work. According to Dr. Tom Muha, a psychologist practicing in Maryland, “if you really feel that you deserve to have a good life, then decide to make that the main gift you give to you and your family this year.” Give them the gift of your time and presence. Get some exercise first thing in the morning. Plan your day around pleasurable activities. Engage in conversations chock-full of curiosity. Pay attention to what you’re seeing, smelling, hearing, tasting, and feeling. Be in the moment. I am going to do my best to fight my ‘must finish everything before I leave for the day’ drive this holiday and focus on having a good time over these next few weeks with my co-workers, friends, and family. I challenge you to do the same. May the joy of the holiday season be with you and may you keep up the good attitude. See you in 2018!